In the long bones of adult male birds, no medullary bone can be found. This endosteal bone only gets formed in adult female birds just before the onset of egg laying where it serves as a reservoir of minerals for the egg shell. 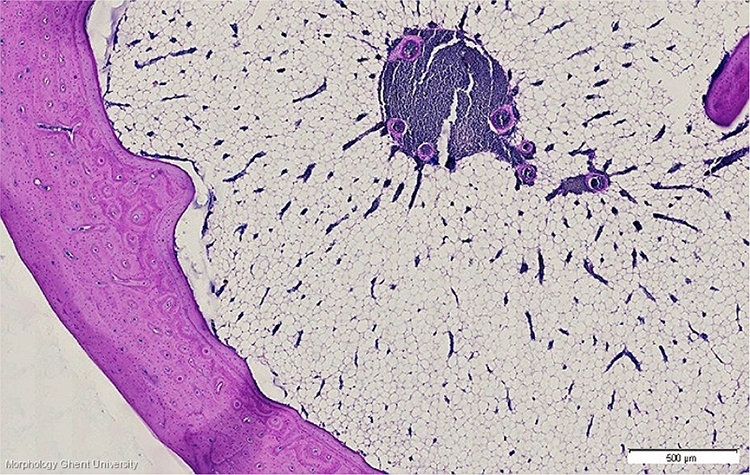 The medullary cavity of long bones in male birds consists of bone marrow and fat vacuoles; the outer 'shell' or cortex consists of compact bone.